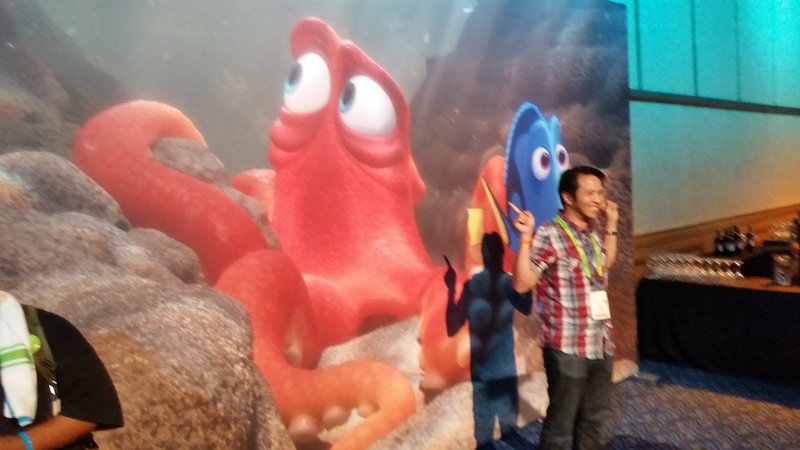 Everyone knows Pixar, Disney's animation studio, which recently released Finding Dory. Well, before Pixar Animation Studio got bought by Disney, they created Renderman to help with the hard work of rendering their animated 3D graphics. 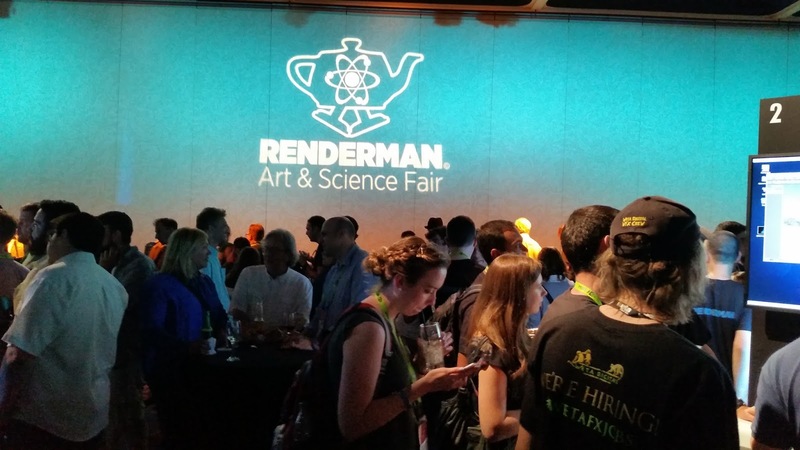 Rederman was a notable absence at Siggraph's exhibit hall, but they were not gone from the event. 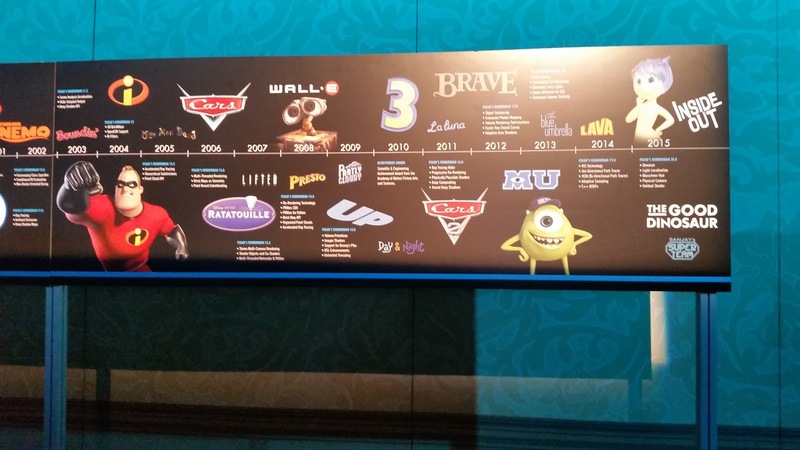 On Wednesday, July 27, Pixar had their Art & Science Fair at the Disneyland Hotel Convention Center. 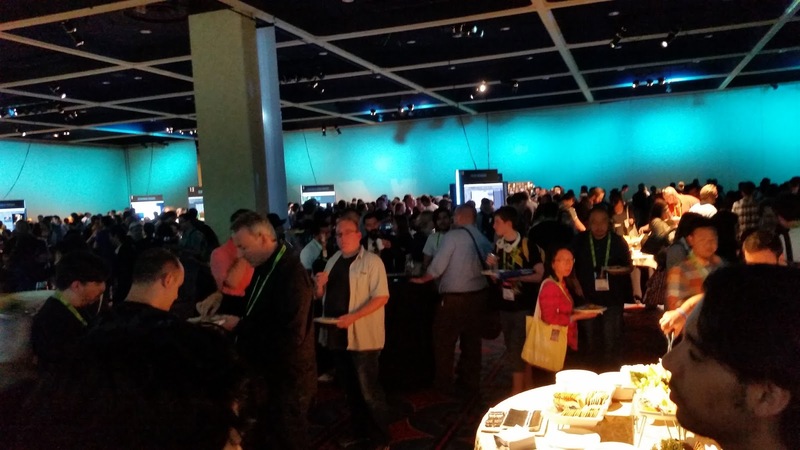 (In)Conveniently located a mile from where Siggraph was actually held, the Anaheim Convention Center. Getting there was a bit of a walk with the weather being in the upper 90s. Luckily, everything after the walk went well, as we not only got appetizers, cheese, bread, fruits, but also a drink ticket, with various bars open for those that wanted to get a little tipsy before the main event. 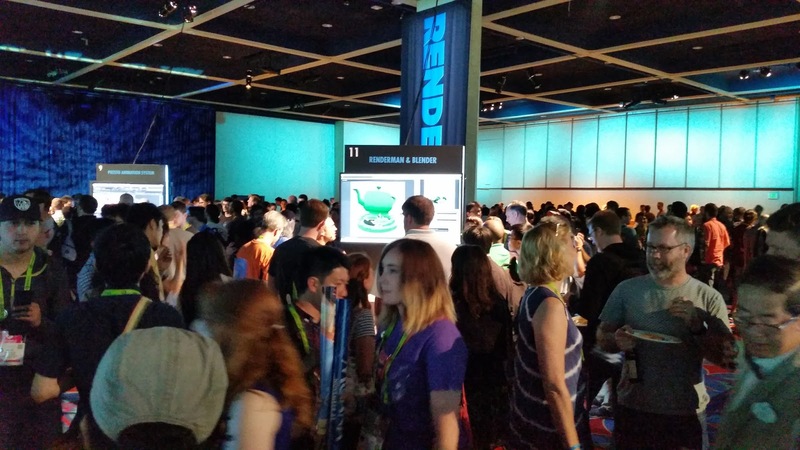 Various Renderman products were featured on the floor as well, but the people were mainly there for one thing. Anyone you would ask was anxious about when the famous Walking Teapot was going to be given out. 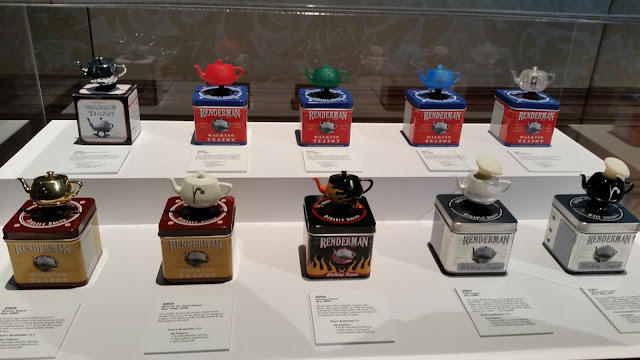 All this fuzz for a little collectible teapot? Yes! 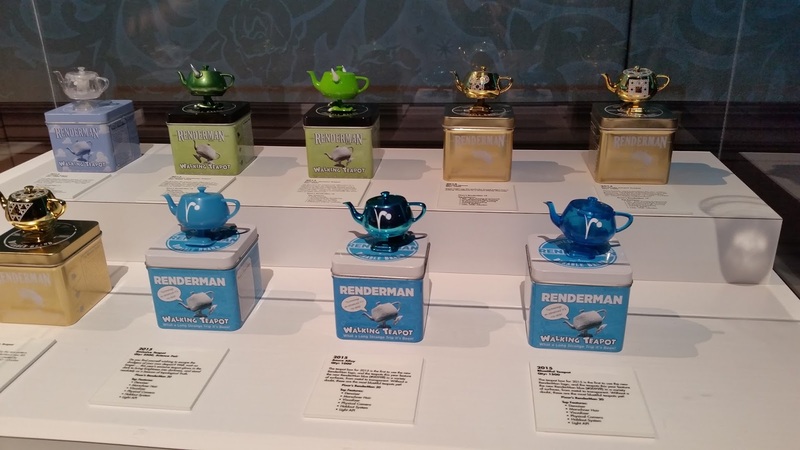 Ever since Pixar's Renderman has been around, a collectible, limited edition walking teapot has been created. 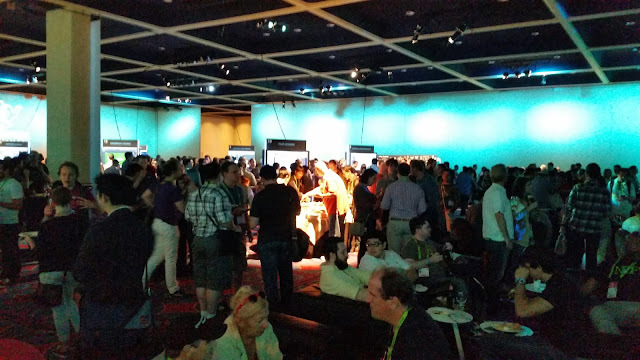 And it's been given out year after year at Siggraph. 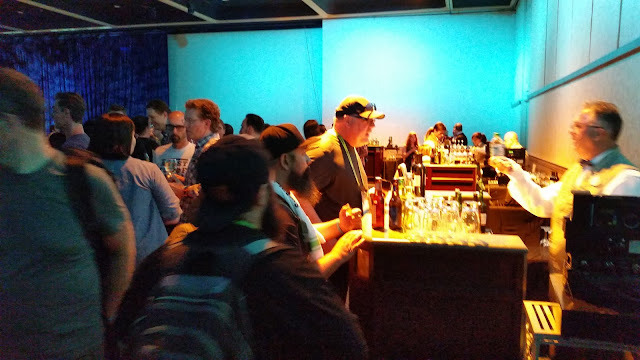 So those that miss it one year or when Siggraph, like a couple years ago, is held on another state, well, have to use eBay (or other means) to get it. 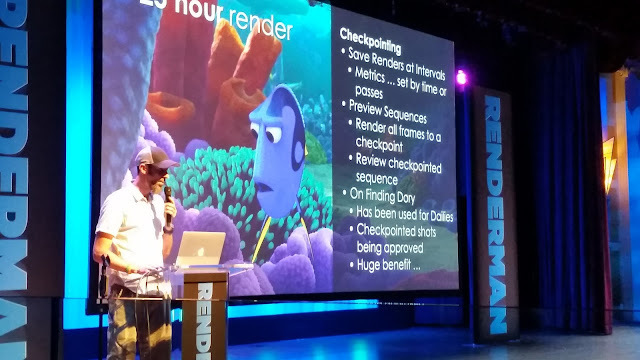 But Renderman knows this and wasn't going to give out so soon the main reason the mayority of the 1,000+ attendees were there for, oh no. 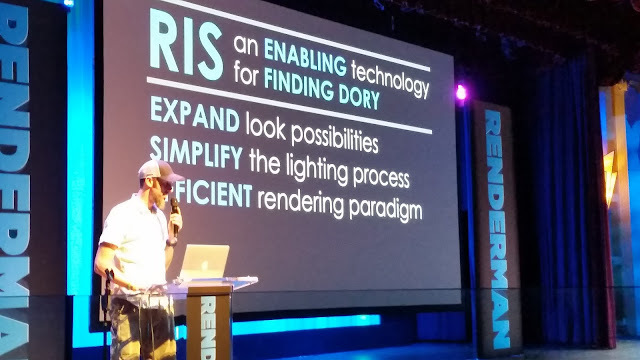 First you were going to mingle, then go to the main room for the screening of Pixar's new short, "Piper" ( https://www.youtube.com/watch?v=72a27aLQ5B8 ) and the presentation, an hour long talk about Renderman's new features. The short was great, the definition of everything was almost photo realistic, if it wasn't for the bit of animated look for the birds it would be too realistic. 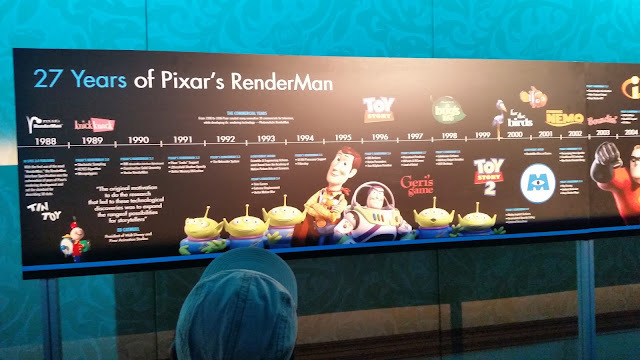 When the audience was told that the time to animate the 5,000 plus poligons that every grain of sand was made out of being a quarter of the time it took the audience all cheered with emotion. Not only has the way shading and light has changed with the new update made things easier and better, the time of rendering has also considerably decreased. 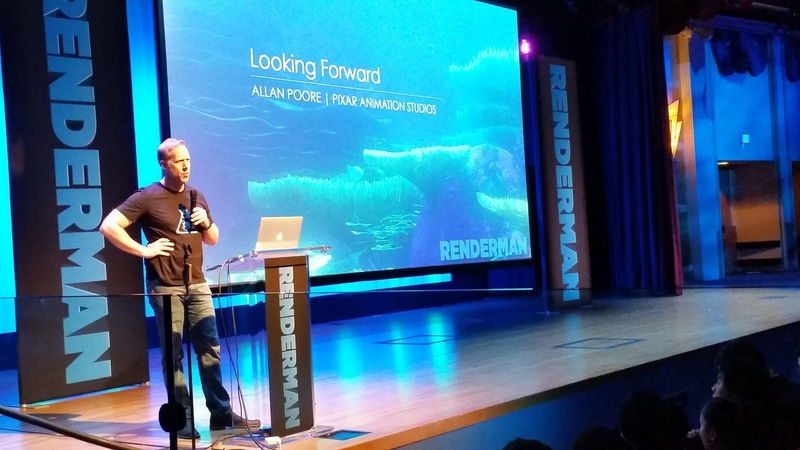 Renderman was also used for The Jungle Book, with not only all of the animals being CGI, but the backgrounds as well. In fact, the movie was shot in Downtown L.A.! 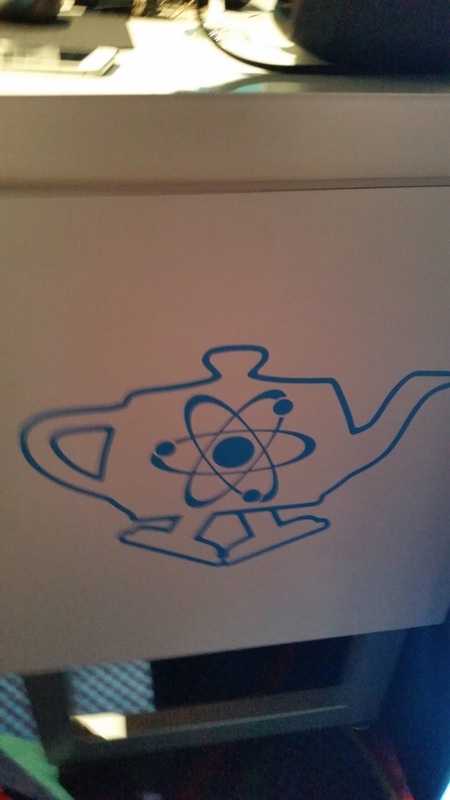 But the real cheer came when the new Walking Teapot design was shown. 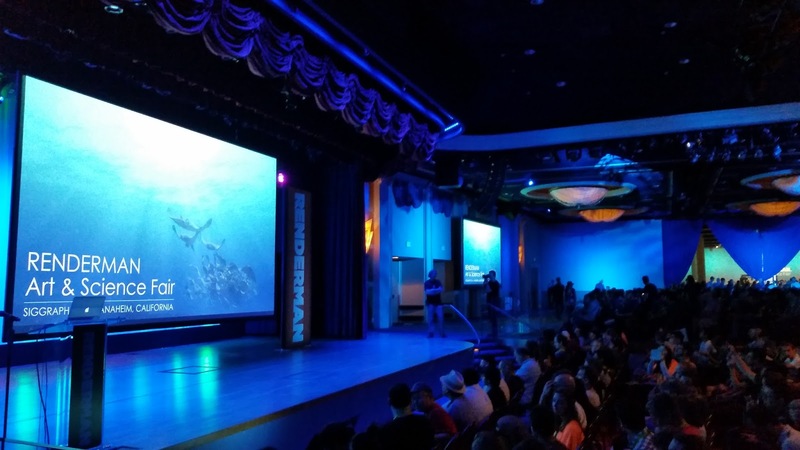 That's when the crowd erupted, seeing the new Jaws inspired teacup. When the conference ended, people were ready for their teapot, rushing to get in line and, for a lucky few, also get some old teapots if they found a prize ticket under their chair. Also, at the prize table, they had, for everyone that twitted, Disney swag! 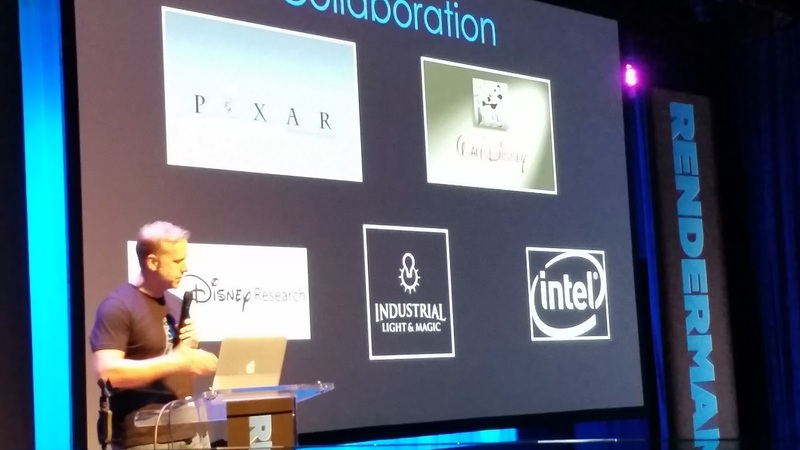 Stuffed animals, toys, hats, t-shirts, backpacks, anything you could imagine Disney related was there for you just to ask for it! 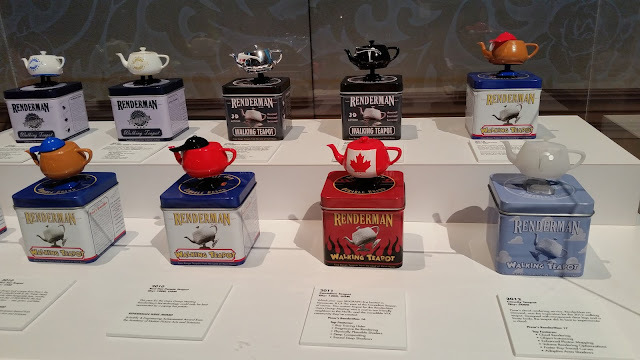 At the end of the night, after the invited guests got their prizes and teapots, everyone left happy, Disney again fulfilling their promise of making people happy.